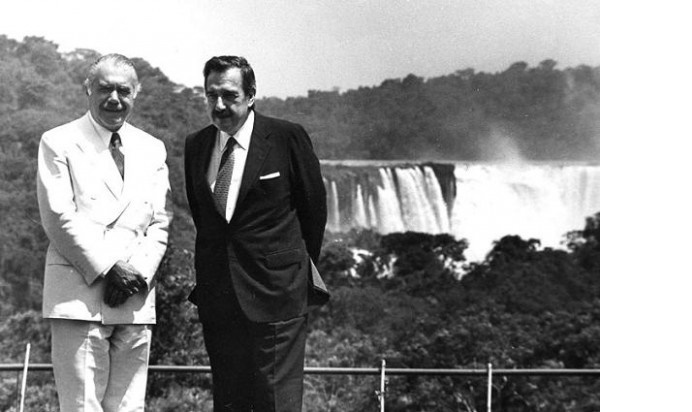 The Brazilian-Argentine Agency for Accounting and Control of Nuclear Materials was created on July 18, 1991, with the signing of the Agreement between Argentina and Brazil for the Exclusively Peaceful Use of Nuclear Energy, henceforth named the Bilateral Agreement. After having been approved by the Congresses of the two countries, the Bilateral Agreement entered into force in December 1991. The principal mission of ABACC is to guarantee Argentina, Brazil, and the international community that all the existing nuclear materials and facilities in the two countries are being used for exclusively peaceful purposes. The objective of ABACC is to administer and apply the Common System of Accounting and Control of Nuclear Materials (SCCC), whose aim is to verify that the nuclear materials in all the nuclear activities of the two countries are not deviated towards nuclear weapons. ABACC is the first integration link between Argentina and Brazil in the nuclear field. The existence of ABACC is a clear demonstration of the political willingness of the two countries to provide transparency in their nuclear programs, creating an environment of mutual trust, and contributing to an increase in regional and international security. The two countries provide the financial resources required for the operation of ABACC and must guarantee its institutional independence. Other factors that determine the success of ABACC are the technical staff, the use of state of the art equipment and the permanent coordination with the national authorities of Brazil and Argentina and with the International Atomic Energy Agency.